RTI is Recruiting Candidates for USAID- funded Eastern Africa Energy Program. RTI (www.rti.org) is an independent, non-profit organization dedicated to conducting innovative, multidisciplinary research that improves the human condition. With a worldwide staff of more than 4,000 people, RTI offers innovative research and development and multidisciplinary services. RTI International is soliciting Kenya-based applications for technical and operational roles on USAID-funded Eastern Africa Energy Program. Based in Nairobi, program will provide services to provide technical services to implement the East Africa Energy Program to expand affordable and reliable electricity services in East Africa, with the ultimate goal of supporting development priorities, including inclusive economic growth, security, and improved health and education outcomes. This is a 4 year project. Positions will be based in Nairobi, Kenya. Non-Kenyans must be able to prove they have the right to reside and work in Kenya. We seek to recruit an Accountant to be based in Nairobi Office. The Accountant coordinates all accounting procedures of the K-YES Project Initiatives together with field offices. S/he communicates with and supports the project by working closely with the Deputy Chief of Party, Administration team and the Project Management Team. S/he maintains regular contact with the field Team in the field Office to ensure that the project receives support in the specific functional areas of the role. S/he will also links with the other RTI staff to develop understanding and capacity in project operations support requirements. S/he is knowledgeable about the technical project result areas, work plan implementation and scheduled technical reporting through regular interaction with the technical team and Deputy Chief of Party. S/he is aware of, and adheres to RTI’s, and Client’s, financial, procurement and administrative procedures in all activities. · Prepare payment vouchers for approval and manage payments of suppliers, consultants, subcontractors and employees’ advances. · Monitor, reconcile and report on account receivables and payables. · Review payment vouchers, employee’s expense reports and journal entries before recording in accounting software. · Support the project in meeting month end close process and accounting deadlines. · Manage the VAT/DA1 Accounting and follow up process. · Verify and check financial documents for accuracy. · Ensure all payments processed are accounted for and recorded in QuickBooks accurately. · Prepare monthly bank, M-pesa and other account reconciliations. · Provide leadership, mentorship and supervision to the Finance Assistants. · Assist in budget preparation, monitoring and monthly expense tracking. Any other duty that may be assigned by the supervisor. · A minimum of a Bachelor’s Degree and 3 years of experience or Master’s degree and 1 year of experience. · CPA (K) or equivalent required. · Willingness to be flexible in working hours and adapt to changing priorities and deadlines. · Prior experience with USAID-funded projects. · Experience of working within a busy finance department. · Good communication and listening skills. · Good organizational skills used in planning own work. · Ability to work under pressure and meet targets and deadlines. · Able to respond effectively to changing priorities. · Good analytical and problem solving ability. Position Summary: East Africa Ag / Energy Advisor is responsible for supporting productive use models of off-grid energy to strengthen agricultural value chains and rural livelihoods in East Africa. 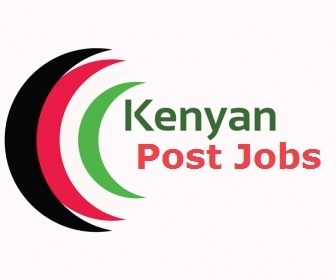 This is a full-time role based in Nairobi, Kenya. This position reports to BTG Cross Cutting Team Leader. · Identify and advance opportunities to promote partnerships and facilitate introductions between off-grid companies and agricultural value chain actors, including farmer cooperatives, extension agencies, bulk-buyers, and input suppliers. · Coordinate with USAID missions in East Africa to align BTG ag/energy activities with other economic growth programs, such as Feed the Future. · Strong verbal and written English communications skills. The HR Specialist is responsible for transparent implementation of HR Strategies, effective delivery of HR services and management; interprets and applies HR policies; rules and regulations facilitate internal procedures and process solutions to a wide spectrum of complex HR issues. Qualifications: Bachelor’s Degree in HR, Business or Public Administration and 3 years of experience or equivalent combination of education and experience in HR and administrative management of programs, including experience working on USAID-funded projects strongly preferred. The Director of Finance will oversee program financial management and reporting functions to ensure compliance with the terms of the agreement and coordinates, trains, and builds the capacity of the financial/administrative staff in the project. Qualifications: Master’s Degree in Public Administration, Accounting, Finance, or related field and at least 9 years of experience in financial and administrative management of programs in Africa. Experience working on USAID funded projects preferred. · Ensures compliance with Client and organizational policies for procurement, contracting as well as operational issues at large. · Oversees finance, human resource management, logistics, procurement, administration and information technology (IT) support to the project, requesting support from RTI headquarters business partners as needed. Qualifications: Bachelor’s Degree plus 10 years or a Master’s degree plus 6 years experience in similar role. The Office Manager will manage administrative activities in the offices including office management, respond to office inquiries, implementation of procedures and policies and a wide range of support for the project. Qualifications: Bachelor’s degree and 5 years of experience supporting a large office staff for a USAID-funded project. The Director of Communications will be responsible for establishing and manage a multi-year communications strategy. Qualifications: Bachelor’s Degree plus 10 years or a master’s degree plus 6 years experience in the media or communications industry. A degree in journalism, public administration, international affairs or a closely related field. Individuals are invited to submit a curriculum vitae (CV) in English with current contact information and details of relevant experience to EAfricaEnergy@rti.org, indicating the position title in the Subject line. The application deadline is December 24, 2018. RTI International is proud to be an equal opportunity employer.